One of the first things new snowboarders need to figure out is which camp you belong in: regular or goofy. This has nothing to do with your sense of humor or favorite Disney character. Instead, it’s all about your stance, or which foot you put forward on your board. Left foot forward? You’re regular. Right foot forward? You’re goofy. This may seem counterintuitive, since we tend to think of right-handed people as being more “regular” because they’re more common. But that’s exactly why the terminology, which is borrowed from surfing, makes sense. If your right foot is on the back of your board, that’s the leg you’ll use to do most of your steering, braking and everything else that controls your movement across the slopes. Stance doesn’t necessarily correlate to which hand is your dominant one, though. My husband writes with his left hand, for example, but snowboards with a regular stance. And I’m one of those common right-handers, but—as my husband likes to often remind me—I’m goofy. So how do you know which one you are? If you have experience skateboarding, surfing or wakeboarding, your stance on the snow should be the same. If not, here are a few ways to figure it out. Stand with your feet shoulder-width apart, weight evenly distributed between both feet. Then, have someone (gently) push you from behind. Which foot did you step forward with to catch yourself? There’s a good chance that’s the foot that naturally belongs at the front of your board. Find a set of stairs and start climbing! Which foot did you use to take the first step? That’s likely your dominant foot, which belongs on the back of your board, while the foot you used to balance as stepped up should be on the front. This test can be done on a patch of ice or with socks on a slick floor. Get a bit of a running start, then slide across the surface. Take note of your feet as you slide, and copy that stance on your snowboard. Once you’ve tested your stance off the slopes, it’s time to test it on the slopes. 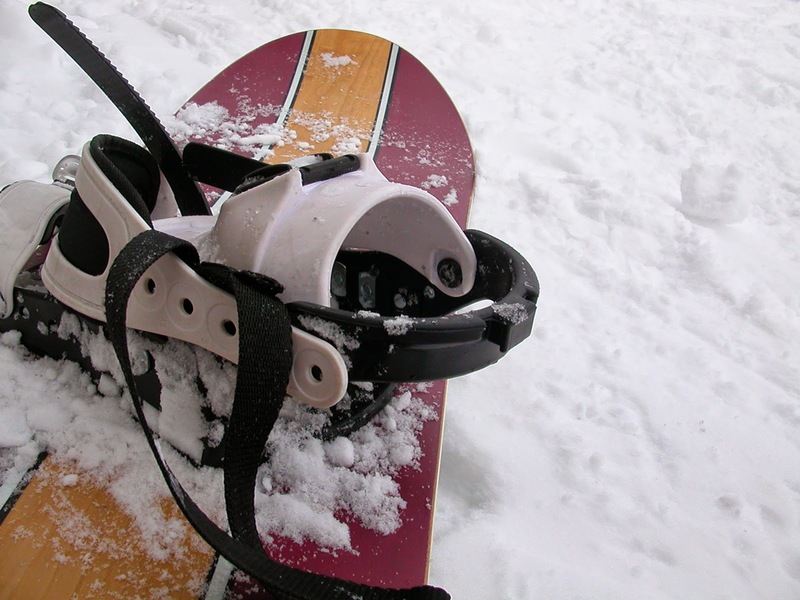 Have your bindings adjusted accordingly and start riding! Keep in mind, though, that no stance test is fool-proof. A close friend of mine took the “push test” before her first snowboarding trip, was told she was goofy, then spent several months struggling—more than usual—to pick up the sport. Someone suggested she try riding regular, and everything immediately clicked. Soon, she was carving and keeping up with the rest of us. So if you have doubts, flip those bindings around and switch it up. With the right snowboard tool, you can always switch back on the middle of the hill if it doesn’t help. Once your skills start improving, you’ll likely end up switching from regular to goofy from time to time, especially if you end up attempting 180s or—it could happen!—540s. But there’s one situation that will always remind you which stance is more natural: the lift line. I started out trying to ride regular, and the lift line always felt so awkward. I would struggle to drag my board along, nearly tripping and missing my chair. Once I started riding goofy, the process of getting on and off the chair became second nature. Here’s another tip for newbies and teachers alike. If you’re new to the sport, it can be helpful to learn from someone with the opposite stance. That way, they can mirror sample moves for you. Plus, they can face you, guide you and even hold your mitts as you master the always nerve-wracking process of getting off the chairlift.